Presently, progressivism is driving the entire national Democrat Party sharply to the left. Politicians in the northeast, led leftward by the redoubtable U.S. Senator from New York Chuck Schumer, have been more than obliging. Lockstep is a march Democrats, particularly here in Connecticut and New York, know well. But, alas, marches are useful only when they carry the Democrat chorus of voters along with them, and Connecticut is a very special basket-case. Blumenthal’s last election represented a signal victory. He drew in 1,008,714 votes, nearly twice as many as his Republican opponent Dan Carter. Blumenthal’s lead was a record and made the senior Senator from Connecticut the largest vote-getter in the history of state-wide elections, topping even President Barack Obama’s previous record of 997,773 votes accrued during the 2008 presidential election. Reports that he lied several times concerning his non-service as a marine in Vietnam bounced harmlessly off his patriotic chest. There is no question Blumenthal has moved considerably left with the slew of progressive insurgents in his party, and his last election lead, along with the massive lead in campaign cash he will have acquired by 2022, considerably widens Blumenthal’s margin for error. By 2008 Democrats in Connecticut had swept all the seats in the state’s U.S. Congressional Delegation. In 2012, Elizabeth Esty narrowly defeated Republican candidate Andrew Roraback for a U.S. House seat previously held by U.S. Representative Chris Murphy, now a U.S. Senator, and Democrats have maintained their hegemony ever since. Blumenthal’s true colors reveal themselves alarmingly in his totemic, irrational opposition to Brett Kavanaugh’s almost certain appointment to the U. S. Supreme Court. Opposition to Kavanaugh has become a symbol resistance by progressives to the intolerable presidency of Donald Trump. Irreducible and unremitting opposition to Kavanaugh has become mandatory for progressives like Blumenthal concerned with virtue signaling. 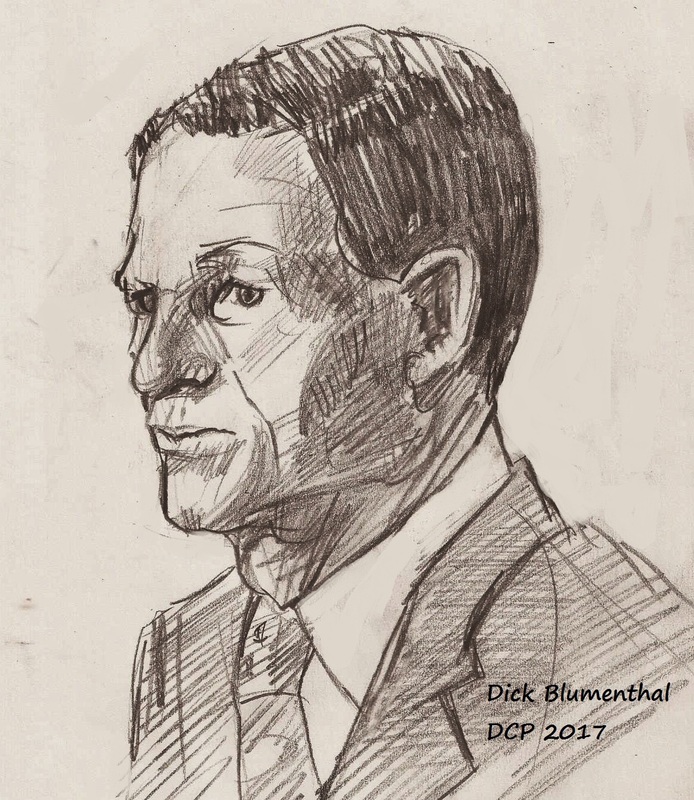 Blumenthal’s nearly invisible press opposition in Connecticut likely will not recall or report that the senator was unalterably opposed to Trump’s current Supreme Court nomination before Kavanaugh was named by the President as a prime suspect in “the implication” of Trump as “an unindicted co-conspirator -- in what nefarious high crime and misdemeanor we are not told in the Hearst Newspaper report, which was published just prior to Kavanaugh’s anticipated inquisition by Blumenthal, the left media’s Grand Inquisitor. The votes in favor of Kavanaugh’s appointment will almost certainly dampen the sparks. Even Blumenthal has acknowledged in previous press reports that Kavanaugh’s accession to the court is a virtual certainty. The sparks are for show only. Kavanaugh spent 12 years on the U.S. Court of Appeals for the District of Columbia Circuit, the second-most powerful court in the nation. He has written 300 opinions, most of which will be ignored in the hearings by inquisitors looking for dirt in dark corners. Kavanaugh clerked for retiring Associate Justice Anthony Kennedy, whom he may be replacing, and he had sent 41 of his law clerks to similar posts at the high court. 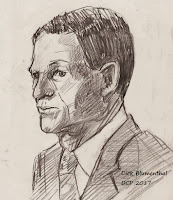 Neither a conservative nor a flaming progressive Justice whose mouth emitted sparks enough to satisfy Blumenthal, Kennedy was a fierce defender of both First Amendment Constitutional rights and the over-arching architecture in American government that prevents separated powers from clotting in any of the nation’s three branches of government. Kavanaugh will do the same. But Blumenthal is not interested in Kavanaugh’s 300 cases. He wants sparks that singe and burn but do not illuminate. And his interrogatory likely will tell us much more than we need to know about Blumenthal and much less than we need to know about Kavanaugh. The hearings are due to expire, thankfully, within four days.